plz guide me about some job oriented courses after b.com..
also tell that which mba course has maximum scope. Which specialization shall i choose after completing B.Sc in IT and computer oriented? Re: What job oriented courses should i do after B.Com? Which MBA course has maximum scope? CA must know about this course it is one of the well known courses after graduation in financial field with wide career and scope and having lots money, but it take lots of hard work as well because it is not as easy course as it name. To get admission in that you should have at least 55% marks in your bachelor if you have this you can directly get admission in IPCC which is second module in CA otherwise you have to take CA-CPT which is consider as Entrance test for CA. But according to me it the best for Commerce graduates. It is also a course by completing that you can join another financial office as Financial Adviser. You can also go with that as the demand of the course is too high now these days. After graduation you may easily get admission in Intermediate level. It is also another Financial Specialization course for Cost and accounting and in feature wise and procedure wise it quite like to similar with CS course. if you can take admission in MBA after complete graduation with 50%marks .MBA is a good scopes in market because its a good course. You have completed B.com. you are eligible for MBA course and also getting great career opportunities. There is giving details for MBA Eligible Criteria and course details..
Career in consulting is quite rewarding, as the average fresher can easily earn more than Rs. 4 Lakh per annum and after completing MBA one can earn between Rs.6 lakh to Rs. 8 Lakh per annum. In this field you can be asked to solve a company’s problem; you might suppose to interview all the involve parties and fix the problem on behalf of the company. Being a professional you are suppose to handle more than one project at a time. This will give you good experience and widen your horizons. Large companies see consulting as a training ground that is really valuable as MBA. Commercial banking is something seen as less popular than investment banking or corporate finance, but on the other hand it is more rewarding in many aspects. Jobs in this sector involve high risk. Here you can work independently and can also build a team of your own. This can be target oriented job, which require lots of research and data work. MBA will teach you how to build strategies and get them implemented to bring more business. You may apply for Card Payments Operations Head. You may apply for Equity Research Analysts. You may apply for HR Generalist Business Partner. You may apply for Recruitment Manager. you may apply for Manager. You may apply for Project Managers. You may apply for Brand Manager. a) MBA - Masters of Business Administration is most globally renowned Masters programme and best course for job. Admission is through 3 steps of Written Test (CAT,MAT,XAT, GMAT, JMET ,SNAP Exam) followed by GD & PI. 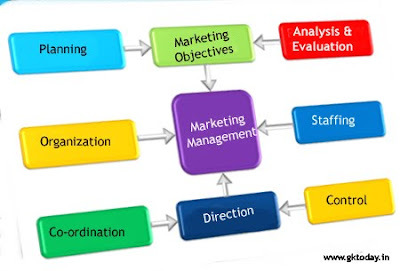 Major specializations - Finance , Marketing , HR , Operations, Systems and IT. Different specializations has different scopes but all the courses has immense earning potential . Earning capacity increases with experience and hardwork and earning potential has nothing to do with specialization. FOUNDATION PROGRAM- The candidate having completed 12th in any stream is eligible for this program. EXECUTIVE PROGRAM- The candidate having completed Foundation program or having completed Graduation Degree in any stream from a recognised University is eligible directly to this program. PROFESSIONAL PROGRAM- The candidate having completed Executive program is eligible for this program. After completing all the program of CS( as mentioned above), the candidate has to undergo a 15 months practical training before finally certified as Company Secretary by ICSI. After completing Graduation one is directly admitted to the Executive Program of CS course exempting the Foundation Program.So ,you can directly take admission in Executive Programme. Students with 55% in B.Com can join CA course at IPCC stage. IPCC stage - Duration for Group 1 and Group 2 is at least 9 months. Final stage - After 3 and half years of articleship. This is followed by IT and General Management course. This is just a small chunk of job oriented courses .There are many other courses . Choose your course and career based on interest , aptitude and personality.If you are good at your work money will follow you. After b.com there are short term and long term courses are available. You can go for MBA course. Its depend upon your interest and capicity that which suits you. And if you want to do MBA than you can start MBA with specialization of Finance subjects. There are many other subjects are also available but its depend upon your choice. There specializations are having lots of scope in markets. Master of business administration (MBA)- mainly students prefers this course. Master of commerce i.e M.COM. Master in Financial Management (MFM)..
MBA in finance or Marketing would be a good choice, though the decision depends upon your interest, so that you can do better in that. After B.com there are short term and long term courses are available:==.